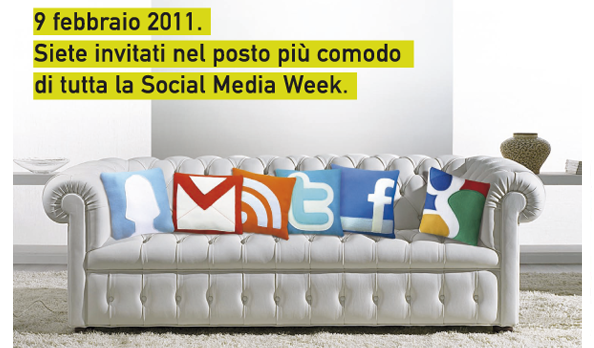 "Living 2.0: the physical places of the company, life and desire in the society 2.0"
On Wednesday, February 9th, during the Social Media Week in Rome, there will be the meeting "Living 2.0: the physical places of the company, life and desire in the society 2.0. During the meeting, organized in collaboration with Reti SPA, we will give space to new ideas with the help of prominent protagonists in the world of communication and business. We will discuss analysis and trends, aspirations and experiences in the light of current changes in society.